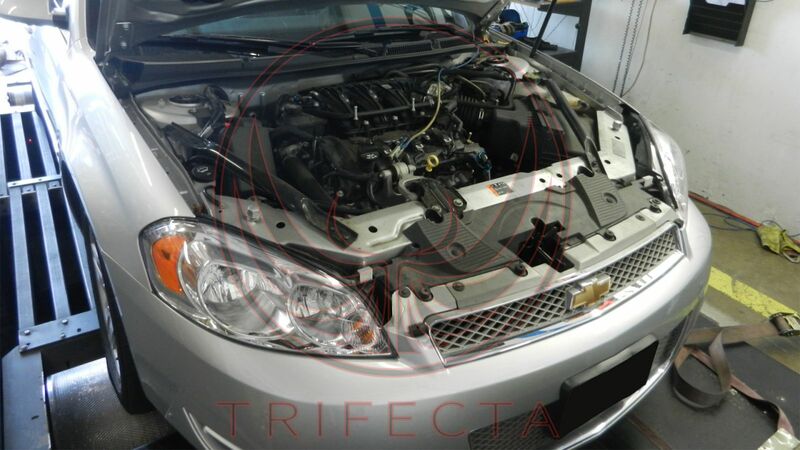 TRIFECTA presents a complete powertrain power delivery profile calibration (performance tune) for the MY2012--2013 and MY2014--Present Chevrolet Impala Limited 3.6L LFX engine and corresponding 6T70 automatic transmission reprogramming. 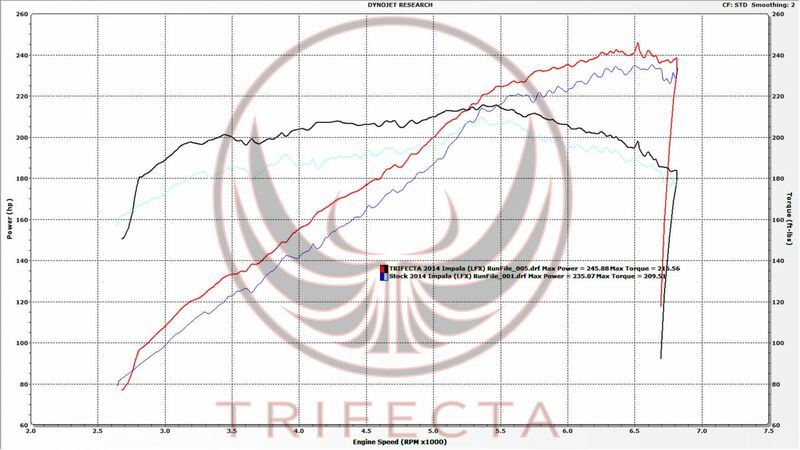 The TRIFECTA Performance powertrain calibration is an easy to install software performance calibration with an included flash loader device that will yield gains of +23 ft-lbs and +22 WHP under the curve (and +6 ft-lbs and +11 WHP peak on 91 octane) to a completely stock Chevrolet Impala 3.6L (LFX) MY2012--2013 and MY2014--Present Chevrolet Impala Limited. This is excellent tune. Very clear instructions and easy to install. Make sure you have a good laptop that can get the ez flash cable to work. The engine tune is great, the car is more responsive. 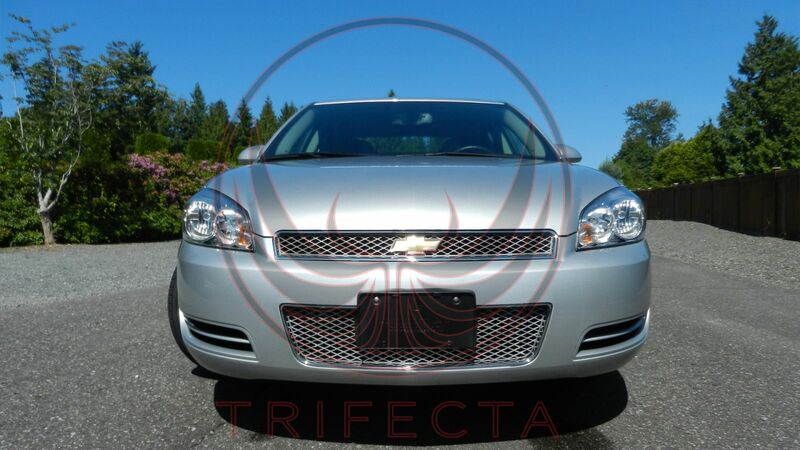 The transmission makes quick shifts and holds the gears much better. 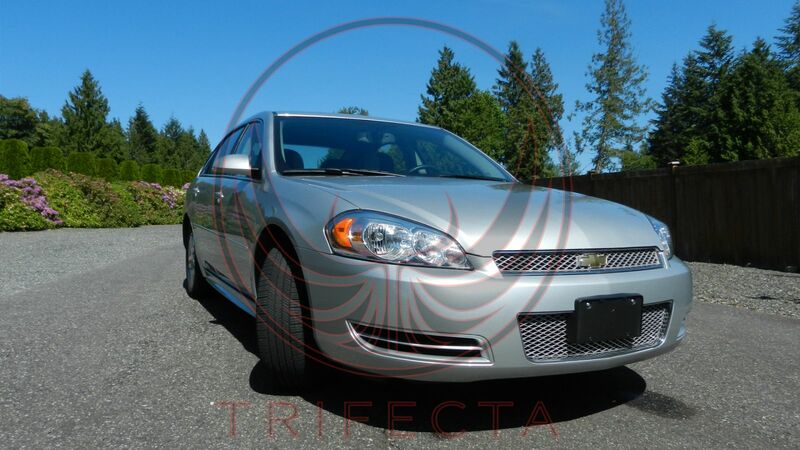 The eco mode is very great when you are cruising around town or highway. Also, make sure you have the cruise control on with the light on, that way eco mode is engaged. The sport mode is the fun part. Aggressive response and you have to watch your foot pressure on the accelerator. It gets up to speed fast for great passing power. Great investment and to add the tune does not compromise your alarms and keyfobs, so everything works as usual. 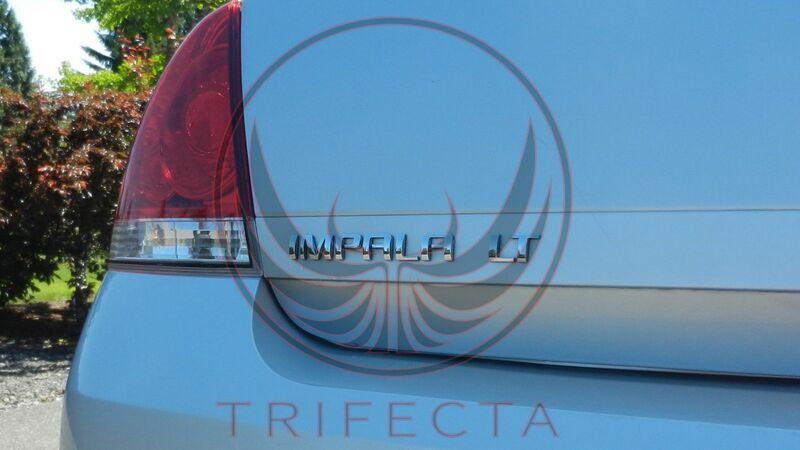 Thanks trifecta.